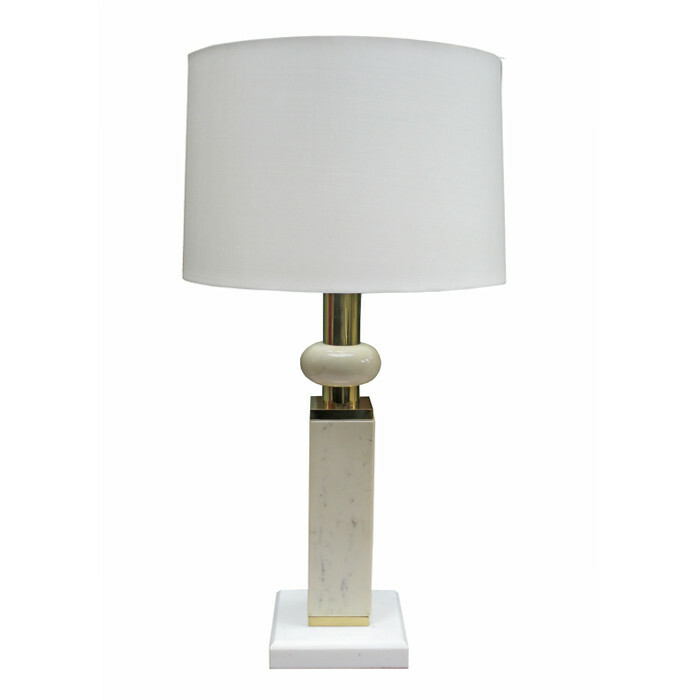 A Modernist marble table lamp. White and ivory colored marble with patinated brass details. Dimensions: H: 34 Shade Diameter: 18 Inches.